WAF rulesets are a powerful new security option that protect your application from known malicious traffic. We've provided the OWASP rulesets that can be enabled for your resource. 2.) 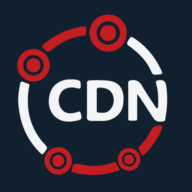 Choose the CDN resource you would like to enable WAF rulesets on. 3.) Click the security tab on the dashboard. 4.) Check the box that says, "Enable WAF" then choose the rulesets of your choice.